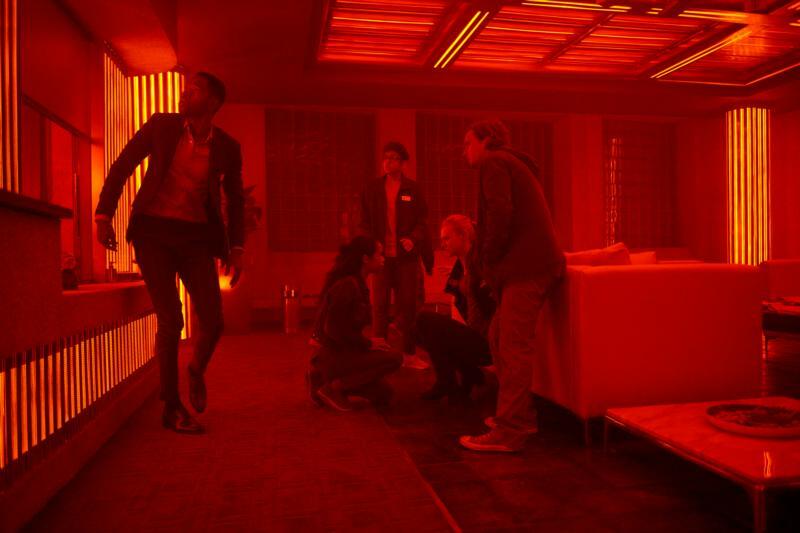 NEW YORK (CNS) — The routine thriller “Escape Room” (Columbia) may leave discerning moviegoers looking for their own means of egress. A high quotient of panic-driven transgressions against the Second Commandment and the rules of verbal propriety aside, there’s not much to object to about director Adam Robitel’s film. Yet his project ultimately amounts to little more than a less disturbing take on the dreaded “Saw” franchise. Those well versed in cutting-edge leisure activities will be aware that a genre of video games has inspired the type of real-life immersive contest categorized under the phrase of the title. This pastime involves confinement in a locked chamber from which release can generally be achieved by following various clues and solving a series of puzzles — all within a set time limit. Lured by a $10,000 reward, a seemingly random group of people sign up to participate in one such competition, but wind up trapped in a deadly struggle for survival instead. The victims of this deception include troubled slacker Ben (Logan Miller), shy college student Zoey (Taylor Russell), Iraq War veteran Amanda (Deborah Ann Woll), prosperous financier Jason (Jay Ellis) and nerdy gaming enthusiast Danny (Nik Dodani). Faced with a series of mortal threats, the members of this diverse ensemble gradually bond and mostly manage to cooperate. It also emerges that they all have something in common: a shared experience on the basis of which they were selected for the ordeal to which they’re currently being subjected. Bragi Schut and Maria Melnik’s script attempts, halfheartedly, to weigh the consequences of selfishness against the fruits of altruism. But audience indifference to the ill-defined characters means that whatever lessons they learn from their high-tech hazing seem inconsequential and unlikely to linger past the closing credits. The mayhem is mostly nongraphic. In lieu of the “Saw” movies’ noisome tortures, these folks are facing more generic fates, being roasted in one environment, frozen in the next. Everyone on screen, moreover, is too preoccupied to think about romance, much less lust. So it’s mainly the exclamations to which the cast gives vent that put this out of reach for kids — and that may be distasteful for many grown-ups as well. The film contains brief but sometimes harsh violence with little gore, occasional sexual jokes and references, frequent profanities, a single milder oath, at least one rough term and pervasive crude and crass language. The Catholic News Service classification is A-III — adults. The Motion Picture Association of America rating is PG-13 — parents strongly cautioned. Some material may be inappropriate for children under 13.